When life gets busy, cooking from scratch gets tricky so we made it easier to prepare delicious meals in ten minutes flat. 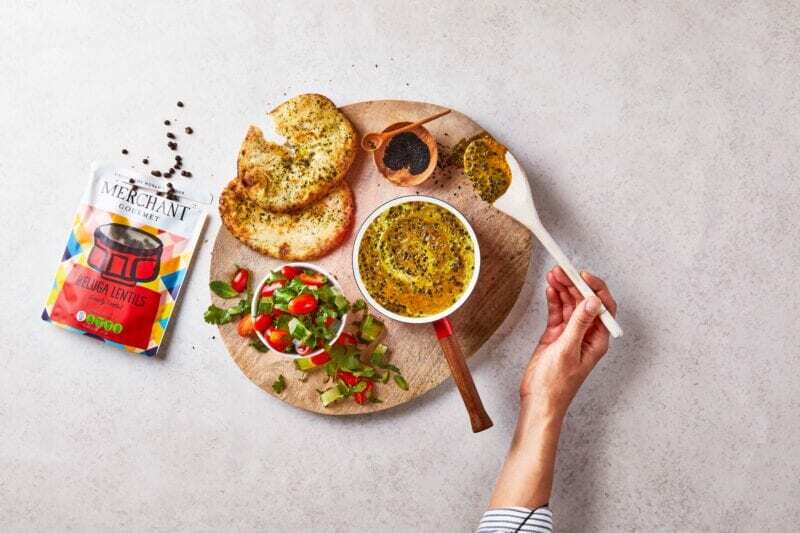 The Ten to Table range is one of our most popular at Gousto, making it easier to get fresh restaurant quality meals without the headache and prep. Why we love this recipe: We’ve created this dish to show off our delicious diced chorizo! The smoky, salty and very slightly spicy chorizo is cooled a little with soft cheese. Packed with spinach and bursts of juicy baby plum tomatoes. It’s definitely a big bowl of comfort food, with a hint of naughtiness! What makes it so quick? 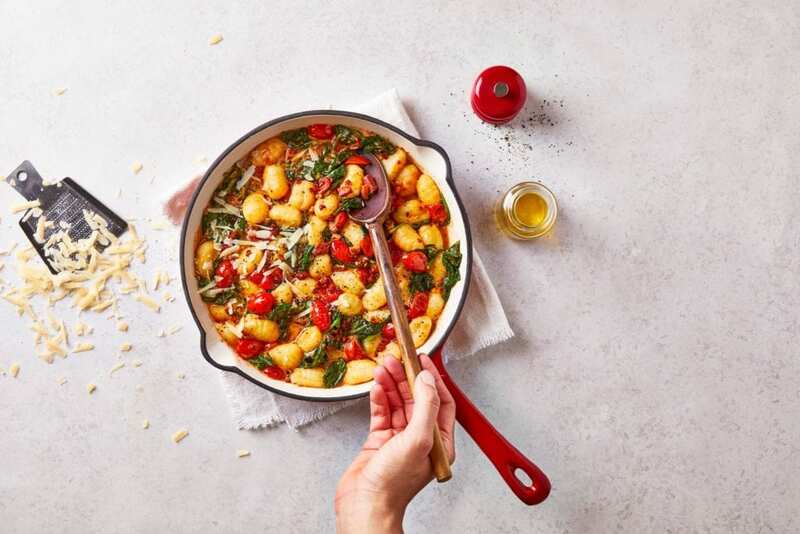 Gnocchi is always wonderfully quick to prepare and our authentic Italian gnocchi is no exception. 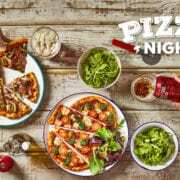 Combined with our pre-diced chorizo and garlic paste this dish is full of flavour and ready in a flash – perfect for a busy night! 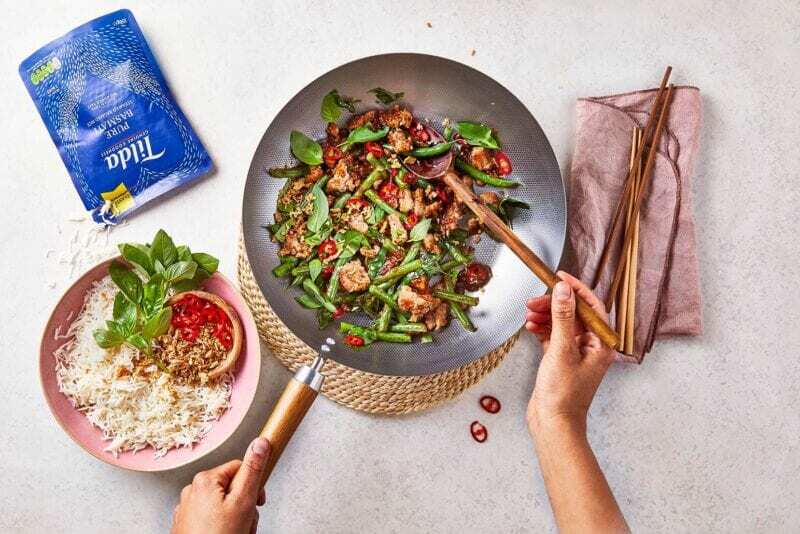 Why we love this recipe: Inspired by Thai street food this dish was made to be consumed on the go so it’s the perfect quick win! With sweet and sticky hoisin sauce, a little heat from red chilli and a generous helping of ginger & garlic, this dish will leave you licking your lips and going back for seconds! What makes it so quick? 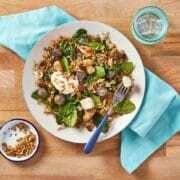 Trimmed green beans, fragrant pre-cooked rice and crunchy pre-fried onions make this sensational stir-fry a breeze to pull together. Why we love this recipe: This flavour packed favourite was the first plant-based Ten to Table dish to be added to the menu and it’s been a huge hit ever since. Three types of mushrooms are cooked in a mouthwatering miso sauce. 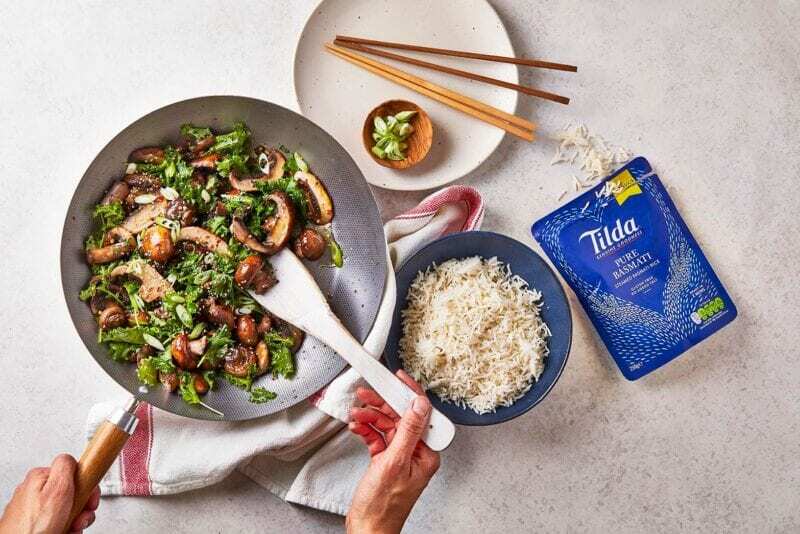 Served with a handful of nutrient-packed baby kale leaves and steamed rice this is a meat-free Monday classic. What makes it so quick? 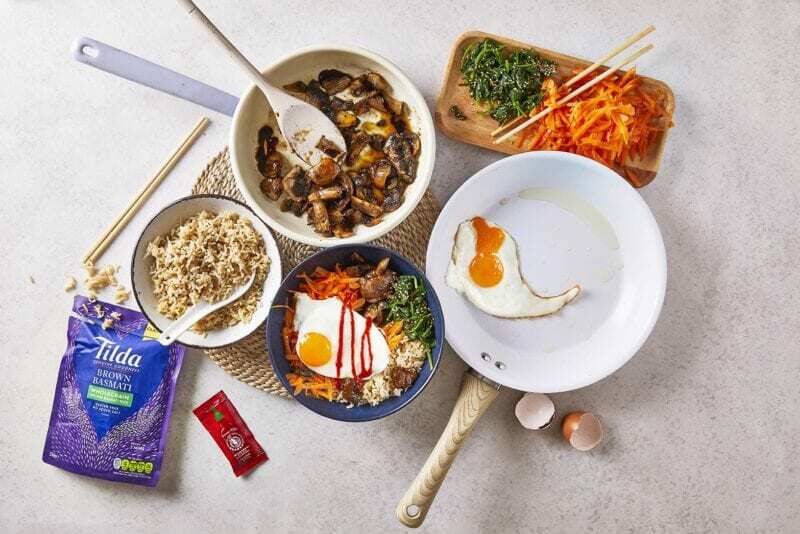 Intense miso paste, sesame oil, and chilli combine to create a rich umami hit which gives an instant depth of flavour. The ginger paste takes all the hassle out of grating and chopping and pre-cooked Basmati keeps things simple and speedy. 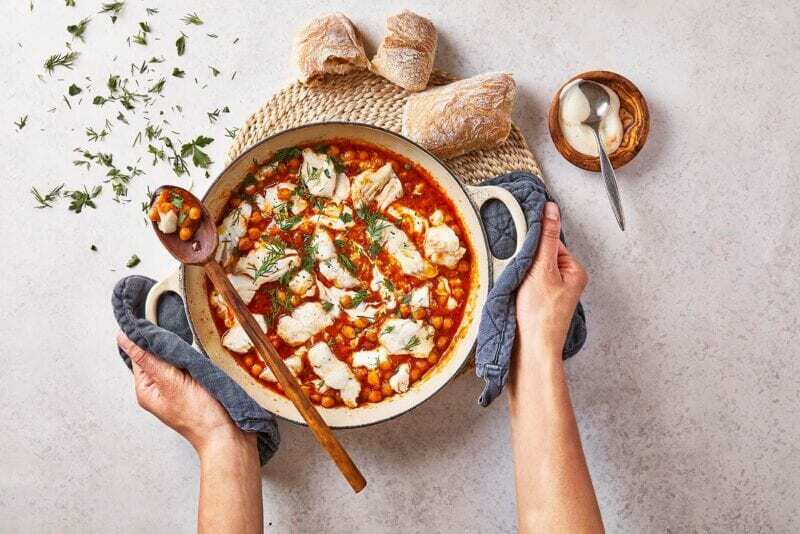 Why we love this recipe: With flaky chunks of haddock in a delicious herby Moroccan tomato sauce, this hearty fish stew is as comforting as it is tasty! Finished off with a crusty ciabatta roll on the side for dunking it’s the perfect meal to treat yourself to after a busy day. What makes it so quick? Tasty pre-cut haddock bites cook in just 3 minutes while natural yoghurt from Yeo Valley keeps the creaminess of the dish smooth and simple. And although making sourdough from scratch takes hours of work, our scrumptious sourdough ciabatta rolls are lovingly prepared by the expert bakers at Artisan Bakery – so you can just relax and enjoy! 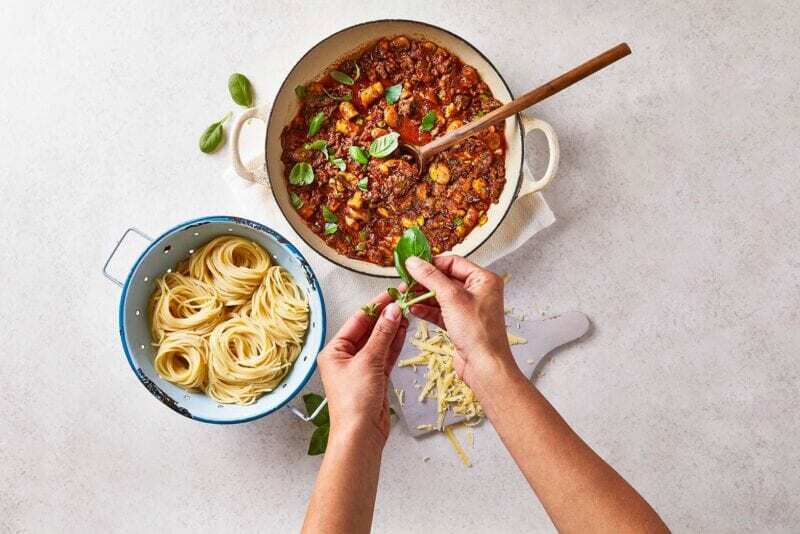 Why we love this recipe: Nothing brings the whole family together quite like a good ol’ spag bol. And this delicious recipe gives you all the richness that you’d expect from a slow-cooked ragu in a fraction of the time – what’s not to love? What makes it so quick? If you thought it was impossible to make a delicious spaghetti bolognese in 10 mins, think again! Substituting conventional ingredients with speedy alternatives, such as tomato Frito and garlic paste, this family favourite is ready in a flash. You might be surprised to see soy sauce here, but this gives the dish a really rich umami kick and is the perfect ingredient to supercharge your supper! Why we love this recipe: Satisfying, speedy and superbly tasty, this meat-free Mexican inspired dish is packed with plant-based protein and just the right amount of savoury spice. Topped with creamy yoghurt and grated cheese – you won’t be able to resist diving in! What makes it so quick? 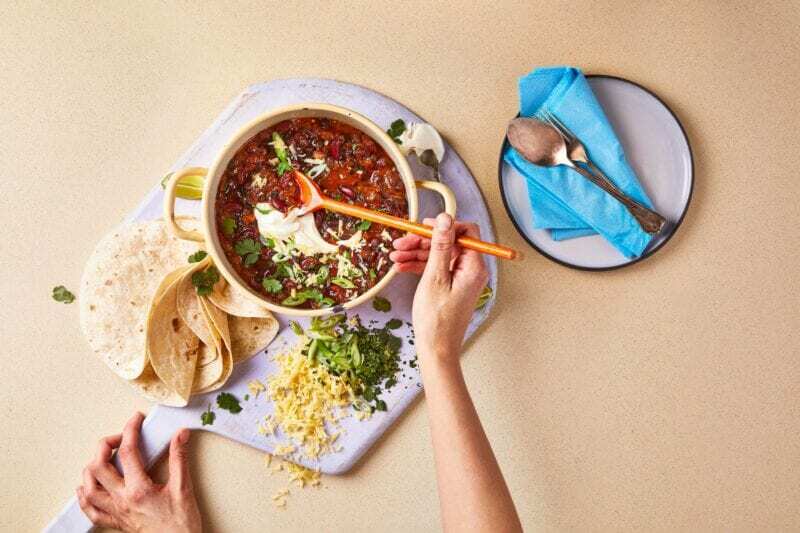 The fantastically fast and wonderfully rich quality of this chilli is thanks to four key ingredients. Tomato Frito, which has simmered for hours to achieve a robust tomato flavour. Garlic paste, which packs a powerful punch with no need for peeling and chopping. Spring onions, which have all the savoury allium flavour of a brown onion but are much easier to chop and cook. And chipotle paste which adds a smoky depth of flavour that really brings the dish together. Why we love this recipe: After appearing on the menu of one of London’s finest Indian restaurants black dal has taken London by storm. While some recipes call for 24 hours of slow cooking, our recipe lets you recreate this stunning dish at home in a fraction of the time. And the side of fresh Kachumba salad perfectly compliments this creamy dish. What makes it so quick? Home blend curry powder, fluffy pre-cooked naan and Merchant Gourmet’s Beluga Lentils combine for the ultimate speedy hack – dal-ightful! 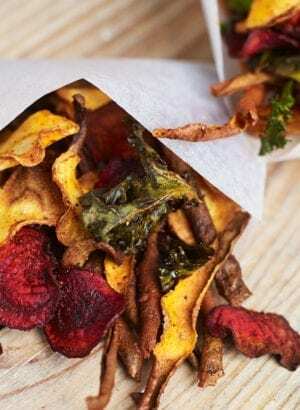 Why we love this recipe: This dish is bursting with flavour! 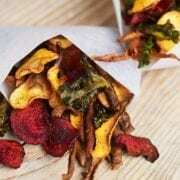 You’ll get sweet and saltiness from the honey-ginger mushrooms, nuttiness from the sesame spinach and fresh acidity from the pickled carrots. All topped with an oozy fried egg and fiery Sriracha (a deliciously moreish Asian hot sauce). Get ready to break that yolk and enjoy it all together for the perfectly balanced bowl. What makes it so quick? A mixture of technique and ingredients make this simple Korean-inspired dish the very swiftest of suppers! Sesame spinach cooks down in seconds while pre-cooked brown basmati rice keeps things easy. And instead of chopping, you’ll break up the chestnut mushrooms by hand before caramelising them in a ginger and honey-soy sauce – yum! 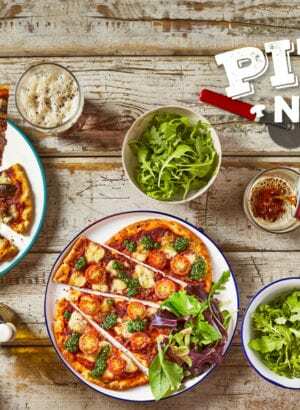 Why we love this recipe: If, like us, you happen to be one of those people who can never seem to get enough cheese this recipe is bound to be a favourite! With fresh, crunchy gem lettuce, zesty tomato salsa and a fiery chipotle yoghurt – seconds are a must! What makes it so quick? 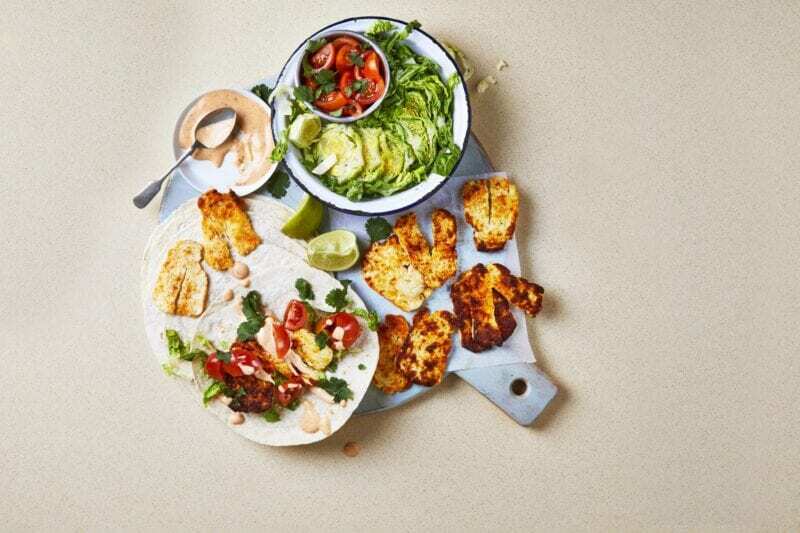 Sticking the halloumi under the grill is the ingenious speedy hack that gets these indulgent veggie tacos on the table in under ten minutes! Why we love this recipe: This dish was made to transport you to sunny Spain. 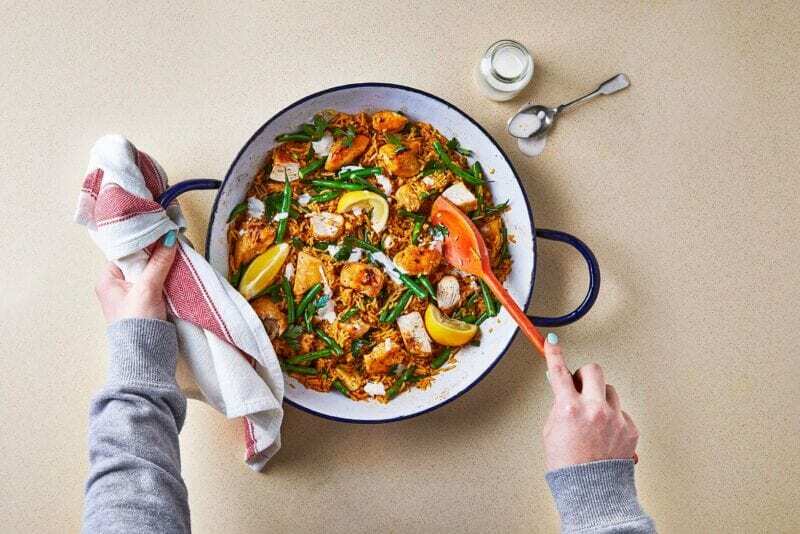 The classic combination of flavours here was inspired by paella – earthy saffron, smoky paprika, punchy garlic and fresh lemon juice do the work here, so you don’t have to! It’s packed with crisp green beans for goodness and drizzled with a lemon aioli to finish it all off! What makes it so quick? With pre-diced British chicken, ready-to-eat rice, trimmed green beans and gutsy garlic paste, this moreish one-pot dish delivers 10/10 for speed and flavour. 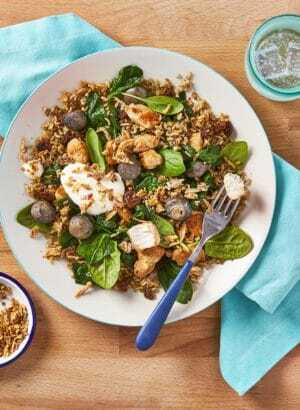 There are Ten To Table recipes on the Gousto menu each week click here to find this week’s speedy recipes.